Facebook privacy has always been controversial and its latest artificial intelligence algorithm is an exception. Artificial intelligence team Facebook is testing an algorithm that can identify people in photos, even if they are not looking at the camera. Earlier this month, Facebook released a mobile app called Moments. Moments groups photos based on the date of an event you attended with your friends and based on your friends themselves. Once the photos are grouped, you can privately message each batch to your friends. This keeps collections of photos unified between friends, which can be handy when taking photos with a group of friends at a dance club or a wedding. I tested out the app and it is fairly accurate. 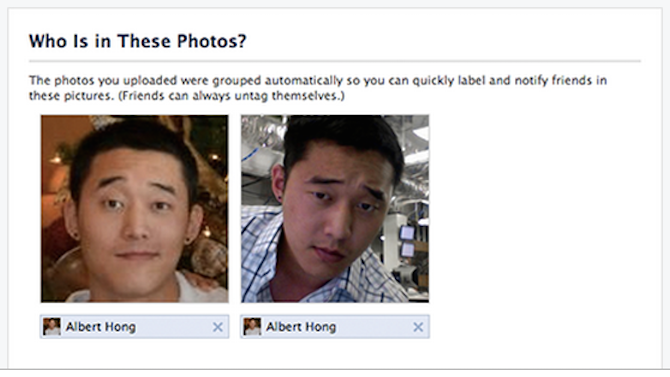 It was able to recognize all of my Facebook friends correctly, but the app mistook me for another family member. The facial recognition technology Facebook has been controversial since it launched and was banned in Europe five years ago. Since Facebook does not have a mechanism to opt-in for moments, the application will not be launched in Europe yet. LeCun said the new technology of artificial intelligence can be useful for people who are cautious about privacy. Hypothetically, this tool could be used to alert someone if a photo of themselves is uploaded to the Internet. If the photo is embarrassing, then it might be worth adjust privacy settings or requesting the photo to be taken down. What are your thoughts on new algorithm for Facebook? Do you think it is a violation of privacy? Let me know in the comments section!